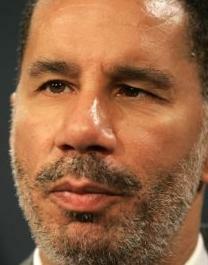 Is this the bombshell that’s supposed to end New York Governor David Paterson’s career? The New York Times has run its much-anticipated story and it focuses not on Paterson’s romantic life, but rather the background of one of his longtime aides. David A. Johnson began working as an intern for Paterson when he was a state legislator. The New York Times reports that some of the governor’s veteran aides are worried that Johnson has a lot of influence but lacks the ability to help Paterson through the state’s fiscal crisis.